Tag Archive | "Heidi Reed"
Welcome Back! We are about to begin a new school year filled with hope and excitement at Cedar Springs Public Schools! Our CSPS Brand Promise of Purpose, Potential and Pride is with us as we step out of summer refueled and ready to meet the challenges of this year. district; we are all an integral part of our schools being highly effective centers of learning. Potential: We are grateful for our staff that is ready and prepared to pour into our students; by opening doors of wonder, understanding and information. Pride: The hard work of students and staff brings pride and joy! We look forward throughout this upcoming year for the many ways we can celebrate together student success. The entire Board of Education wishes everyone the best; as we welcome our students to their educational journey of 2018-2019. 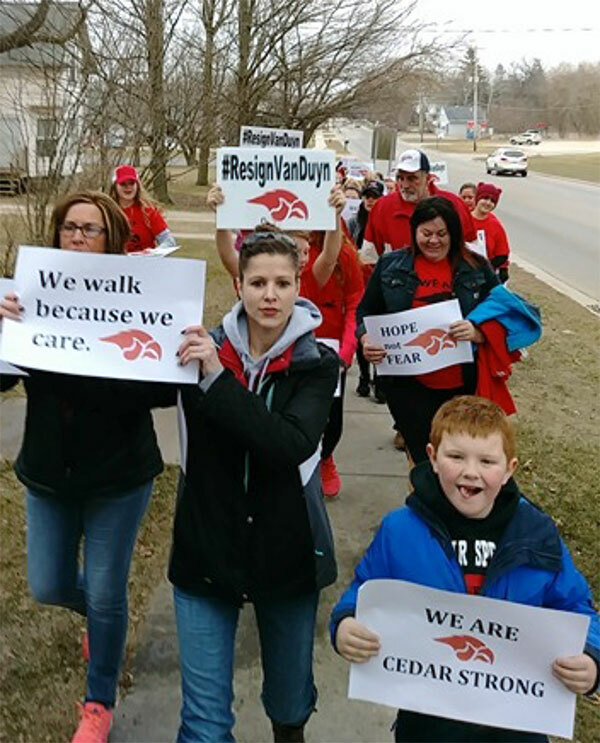 A drive to recall three members of the Cedar Springs Board of Education came to a halt this week after a spokesperson for the recall team said they no longer felt it necessary to proceed. Petitions to recall board president Heidi Reed, vice president Matt Shoffner, and treasurer Shannon Vanderhyde were filed this spring, in the aftermath of the resignation of Superintendent Laura VanDuyn. The reasoning on the petitions for the recall had to do with public comment being limited at a board meeting. Reed apologized the day after the meeting, noting that she had erred in not letting some people speak who had not signed up ahead of time. However, there was more behind the recall effort than the one incident. Many of those who had demanded that the former superintendent resign also felt that the board had not been listening to the public or staff over the last few years when they complained about the former superintendent, and wanted to see them recalled. However, since that time, board members have made efforts to be more transparent, and show that they are listening to their constituents. The recent hiring of Superintendent Scott Smith had the public involved at almost every level. For more information on term lengths and what positions are up for election this fall, click here. The Cedar Springs Board of Education recognized two of its board members at its regular meeting on Monday evening, May 14, for awards they received from the Michigan Association of School Boards. 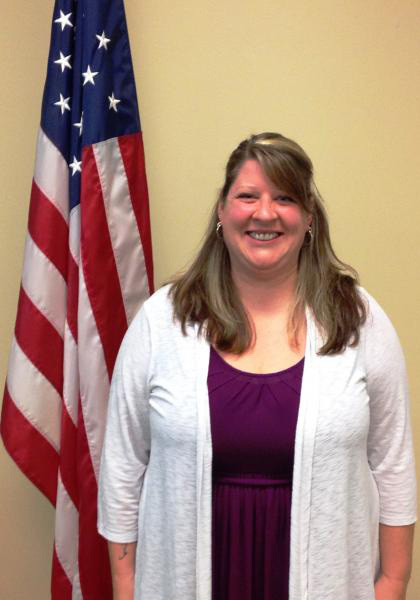 Heidi Reed, President of the Board of Education, received Level 1 Certified Board Member Award Certification. Heidi had to take nine classes, all at the 100 level to receive this award. Treasurer Shannon Vanderhyde received the Award of Distinction. Shannon has taken all 100 level classes, all classes at the 200 level and 6 at the 300 Level earning her the Award of Distinction. Kent County Prosecutor Chris Becker issued his opinion this week on whether Courtland Township trustee Matt McConnon can also serve on the Cedar Springs Board of Education. In his opinion, the offices do not conflict with each other. 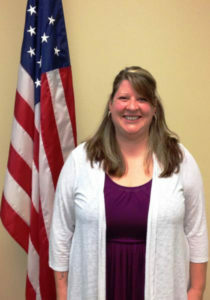 McConnon was appointed by the Cedar Springs Board of Education to fill a vacant seat in January. The Post alerted both Board President Heidi Reed and then Supt. Laura VanDuyn to the possibility of an incompatible office, since there was a similar occurrence in 2010. The Post waited until mid-February for an answer, then went to the Sheriff Department and asked them to have the current prosecutor review the case. 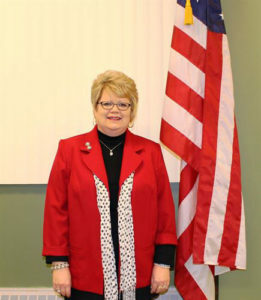 In the 2009-2010 case, Pamela Conley, who was on the BOE, was elected to the Cedar Springs City Council. Lawyers on both sides felt it was a conflict, and asked then Prosecutor William Forsyth to offer an opinion. He came back with the opinion that the offices were incompatible. Forsyth said at the time, that the two entities had contracts and agreements, such as the city collecting the school taxes and then being reimbursed for them. He also noted that under the Revised School Code that the Superintendent could negotiate a reasonable expense for city services and that the board must then also vote to approve any agreement between the school and city. In a nutshell, he felt those things—the collection of school taxes, needing to vote on it (he said not voting on it was a breach of duty) and the holding of elections for the school and reimbursement for it made the offices incompatible. Becker saw it differently. He said that he saw no contracts between the school and Courtland Township. He said the only possible contractual relationship found was the Cedar Springs Schools Parks and Recreation. Both entities are members of the governing body, but they are partners and do not oppose each other. Becker did not feel the collection of taxes and being reimbursed for them was incompatible because he could find no direct contract between the township and the school system. There is, however, a form and resolution that the school sends to the districts. According to Dennis Bain, Director of Fiscal Services at Kent Intermediate School District, the school districts send a L4029 form to the townships and city, along with a board resolution, that tells the township how much they should levy in taxes on behalf of the school district. The township then collects the taxes, and directly pays the school district those taxes. However, when it comes to the township being paid for collecting the taxes, the KISD acts as an intermediary. The township bills KISD for their services of collecting the taxes, and the school pays KISD what is owed. Baine did not know if it was done the same way in 2010 but he couldn’t imagine that it wasn’t. He also said he didn’t know of any other district in the state that did it differently. What the Post was unable to find out was whether Courtland Township trustees vote on whether to collect or disburse the taxes. We did not receive a call or email back from them by press time. The Post looked back at the school elections in 2007 through 2010, and found that people were told to vote at their own township or city polling place, just as they are now, and Kent County listed all the candidates, so they may very well have been done exactly as they are now. The only difference is that since they are now held in November during a regular election, the school doesn’t have to reimburse individual townships or the city for them. See Prosecutor Chris Becker’s opinion here: McConnon opinion. See Prosecutor William Forsyth’s opinion on the Conley case here: Conley letter. Post Scripts NOTICE: The Cedar Springs Post welcomes letters of up to 350 words. The subject should be relevant to local readers, and the editor reserves the right to reject letters or edit for clarity, length, good taste, accuracy, and liability concerns. All submissions MUST be accompanied by full name, mailing address and daytime phone number. We use this information to verify the letter’s authenticity. We do not print anonymous letters, or acknowledge letters we do not use. Writers are limited to one letter per month. Email to news@cedarspringspost.com, or send to Post Scripts, Cedar Springs Post, PO Box 370, Cedar Springs, MI 49319. The recall effort for the board of education members Heidi Reed, Matt Shoffner, and Shannon Vanderhyde is officially underway. The specific language refers to what I and other members of the community believe was a violation of the open meetings act, but that is merely a symptom of the larger problem. This board has repeatedly ignored stakeholder voices. They are beginning to rush into selecting a new superintendent when at least 4, if not 7 seats will be up for election in November. I believe this to be a mistake. There are calls to put in place a highly qualified interim superintendent until we have a board that will be seated more than 6 months. The board openly silenced stake holders, can anyone trust that they will listen now? There will be petitions available at the Cedar Springs Burger King community room on Saturday May 5th 1-4 pm, Tuesday May 8th 6-9 pm and Thursday May 17 from 6-9 pm. A board who will not listen to voters cannot be allowed to continue to serve. We attended the Cedar Springs School Board Meeting on March 26 and made several observations. 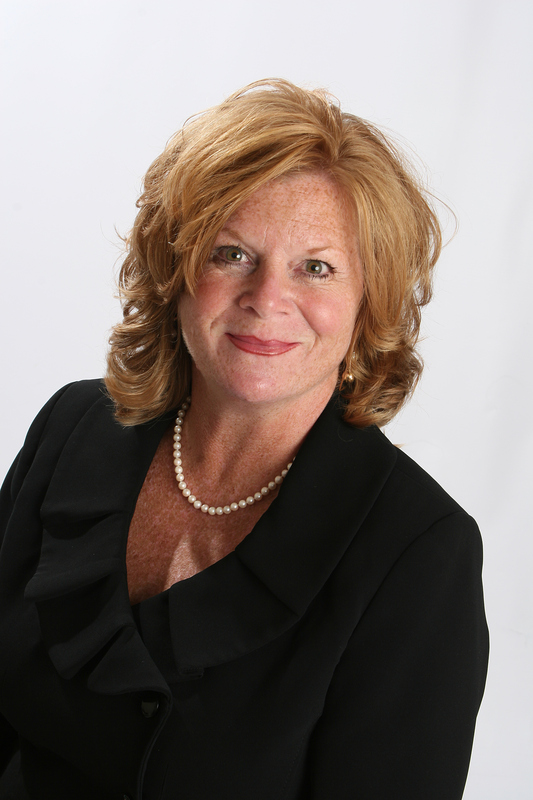 Our first observation came when the school board president Heidi Reed stated that the school board pays an outside consulting firm (from Ohio) for school policies. While it might be common practice to pay a consulting firm for crafting of school policies, is it the best practice? How much of the community’s money was spent on this out-of-state consulting firm? We believe that our local school policies should be determined by those who live here, not in some other state. We have no problems with getting ideas and inspiration from any and all sources, but community members should determine our local policies. How about having a public forum with debate and discussion of what policies we would like to have in our local school district? We can see what other communities are doing, but this is our school district, serving our children, and our community. If our school board members are unwilling or unable to make policies that fit and form our local community, perhaps they should not be serving on the board. We got the impression that Ms. Reed was attempting to absolve herself and the board from having any personal responsibility for unpopular policies. Over the past several years, public comments and statements made by board members and the superintendent seem to reflect a view that spending public money is good. Instead of focusing on results or finding the best value for taxpayer dollars, the board and superintendent appeared to try to solve problems by spending money. We were also shocked and offended by comments made by board president Reed and board trustee Tim Bauer. Ms. Reed made a comment that seemed to be a personal attack on those members of the community that spent their own money, time and resources on yard signs and t-shirts. She said that she wished that effort had gone to supporting the kids who are going to The Odyssey of the Mind competition. The audience reaction to her statement was shock, immediately followed by comments. At that time, another board member demanded that the audience “respect the board president.” The audience should respect the position of board president, but the board president should respect members of the audience and community as well. While she’s entitled to her own personal opinions, we feel that this comment was inappropriate. We had serious concerns regarding Trustee Tim Bauer, but those are now moot since he announced his resignation. The board approved paying an interim superintendent $600 per day plus mileage. We would like to see how that figure was reached and the rationale behind it. Is this the best value for our tax dollars? As a final thought, perhaps we should consider adding another board member. This new member would be elected by and from the district’s teachers to provide direct representation of those who teach our children. The new position could either be a full voting member, or an advisory member depending on statutory and regulatory requirements. 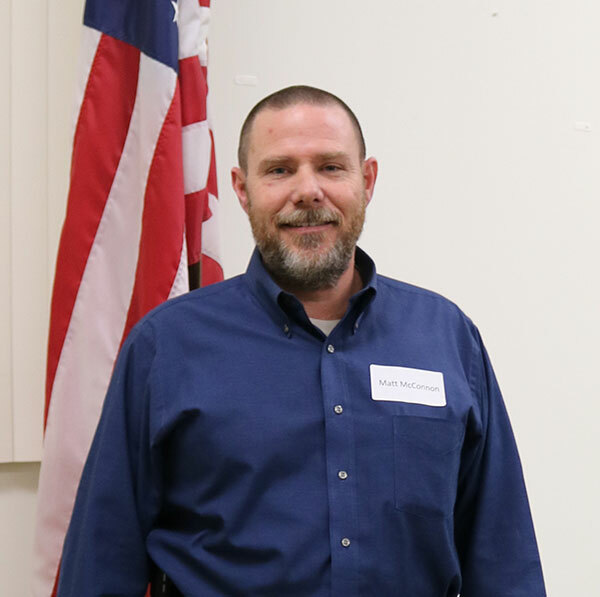 Matt McConnon was appointed on Tuesday, January 23, to fill a vacant seat on the Cedar Springs Board of Education. Courtesy photo. 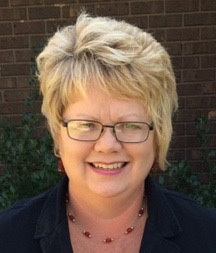 The Cedar Springs Board of Education held a special meeting Tuesday evening, January 23, to fill the board seat vacated by Patricia Eary last week when she resigned. 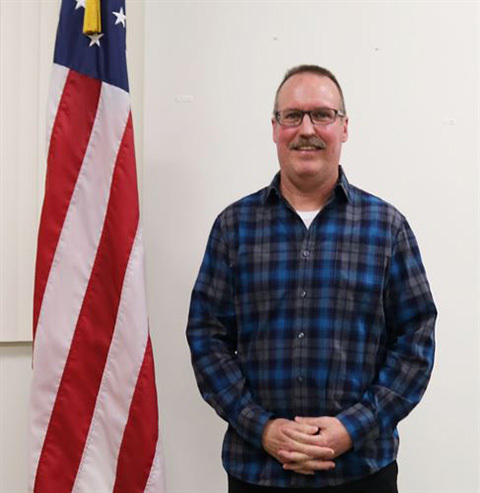 The board interviewed six candidates, and voted 6-0 to appoint Matt McConnon, of Courtland Township, to fill the seat until January. He was sworn in at the end of the meeting by School Resource Officer Deputy McCutcheon. Several of the board members felt McConnon’s 10 years of experience in policy making and budgeting on the Courtland Township board would be beneficial to the school board. It remains to be seen, however, whether they will get to use his expertise. “After we appointed Matt McConnon to the BOE, it came to light that there could be an outside concern with the incompatible office law as Matt is a trustee on the Courtland Township Board,” said Board President Heidi Reed. “With the first look, the two positions (Township Trustee and BOE) appeared to only have a ‘potential of incompatibility,’ which meant the law did not apply. Matt’s longstanding board service to Courtland Township is to be admired. We have been in contact with Matt and we will amicably resolve this situation after we have gathered the facts,” she said. The concern arose because at the end of the meeting, the Post found, after speaking with Mr. McConnon, that he was still serving on the Courtland Township board. 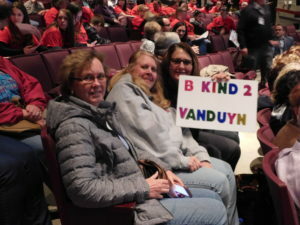 He explained that Superintendent Dr. Laura VanDuyn had checked into it, and told him that there should be no conflict of interest since Courtland Township doesn’t do much voting on school issues. However, the Post remembered that there was a similar case eight years ago, involving our own school board and the Cedar Springs City Council, and that the Kent County Prosecutor had deemed the two offices incompatible. In that case, Pamela Conley, who was a Board of Education trustee, ran for Cedar Springs City Council in 2009 and won a seat. Both lawyers for the city and the school eventually agreed that the offices would be in conflict, and decided to send it to then Kent County Prosecutor William Forsyth for a final opinion. He sent back his decision, explaining why the offices were incompatible. He also told Conley she needed to resign one of the offices by a certain date or he would file charges in Circuit Court. She decided to resign her BOE seat and still serves on the Cedar Springs City Council. According to the opinion issued by Forsyth in January 2010, in which he cited the Public Offices Act, State Attorney General opinions and Supreme Court opinions, he noted that a person could serve on both boards if they do not negotiate or enter into contracts with one another, which the city and school do. “Of equal significance, an individual cannot avoid the incompatibility by abstaining from voting on resolutions…because abstention under such circumstances ‘is itself a breach of duty.’” He specifically mentioned the city collecting the taxes for the school, and the city conducting school board elections, and the school reimbursing the city for them. Courtland Township does the same. The Post emailed Board of Education President Heidi Reed and Superintendent Van Duyn to inform them of the prior case. Reed told the Post they would check into it. She then later issued her statement cited earlier in this article. The Post will update this story when we know more. 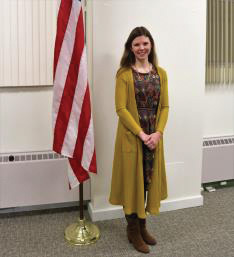 The Cedar Springs Board of Education held a special meeting on Tuesday, December 19, to interview applicants for two vacancies left by the resignations of Michelle Bayink and Ted Sabinas at the last regular board meeting Monday, December 11. The board advertised for applications for the positions in last week’s paper, and the deadline was Monday December 18. The advertisement did not say there would be a special board meeting on December 19, and the Post was not present because we were not notified that a special meeting had been scheduled for the interviews. The board did video the meeting, although some of it was hard to hear due to quite a bit of background noise and some board members not speaking into the microphone. The board interviewed 10 candidates for the position, and chose Tim Bauer and Traci Slager to fill the two open seats through the end of this year. Bauer is replacing Bayink, and Slager is replacing Sabinas. The board liked the answers provided by both candidates, although Heidi Reed did express some concern that Slager had not been around the board. She did still vote yes, however. Bauer and Slager can run as candidates in the fall if they would like to for one of four open positions. There will be two six-year positions open with Brooke Nichols and Patricia Eary’s seats coming up for reelection; one four-year seat (for Ted Sabinas’ seat); and one two-year seat for the one vacated by Michelle Bayink. The two were sworn in at the end of the meeting. The board will hold their reorganizational meeting in January 15 at 6:45 p.m.